It was also the most watched program in the key advertising demographic of 25-34, which is eHarmony's target audience. During last night’s episode, eHarmony aired its new testimonial campaign during the ad breaks as part of its sponsorship, alongside ads from other sponsors, including contact lenses brand Dailies Total1, mexican restaurant One Night in Mexico and underwear brand Underworks. The brand’s sponsorship deal also includes integration, but McInnes remained tight-lipped on the role eHarmony will play through the season. “I have to keep it a surprise but what I can say is that compatibility is what the series and eHarmony have in common as our mission for singles, so it is a very seamless integration,” she says, adding that the brand hopes to add some science to finding Monk’s perfect partner. The Bachelorette isn’t eHarmony’s first foray into TV, also pairing with Nine’s Married at First Sight earlier this year. TV integration is just one of the new marketing platforms McInnes explored since she joined eHarmony a year ago from Pandora. “When I first arrived at eHarmony the brand’s communication was a bit lighter in response to the free apps that had come into the market,” she says, referencing the rise of Tinder, Bumble and other dating apps that have revolutionised the dating industry. The decision to hit the small screen for a second time isn’t led by the marketing teams’ gut feeling, but hard ROI. Teaming up with Google, eHarmony measured the impact of high-rating dating shows on its search, subscription rates and revenue volume. “We aren’t writing off TV integrations as only a brand awareness tool, we know it delivers strong ROI,” McInnes says. As part of eHarmony’s emotional push, it launched a new brand campaign at the end of last year which illustrates the spark people can feel on first dates. As 18 single suitors look to find love with Sophie Monk on The Bachelorette, eHarmony is hoping to find its perfect match by becoming a sponsor of the Channel Ten show. Lured by the big personality and high profile of Monk, eHarmony approached Ten to see how it could integrate its dating expertise into this year’s season. 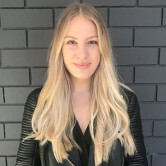 The company's marketer Nicole McInnes, who is set to exit for a digital role at Woolies later this year, says partnering with The Bachelorette differentiates the brand from its growing list of rivals, who she believes cheapen the process of finding love. “For me the partnership is about relevance. We really love love, more so than our competitors. We are much more about long-term relationships, which relates to the themes of The Bachelorette and how genuine Sophie Monk is about finding the right person,” McInnes says. McInnes' bet on The Bachelorette may already be paying off with the launch episode airing last night securing the highest debut audience for the Bachelor/Bachelorette franchise in its four year history.